I had no idea that Amazon ran a video game deal of the day. I’ve always known about the Gold Box deals which is where Amazon’s main deal of the day is launched, never knew there was a video game deal of the day. This has me thinking that there are other deals of the day categories that Amazon runs, but I’ll just have to do some research to dig them up. The deal of the day from the Amazon Video Game store is a winner for sure – get CSI: Unsolved for only $9.99. This is a 50% discount from the normal price of $19.99. 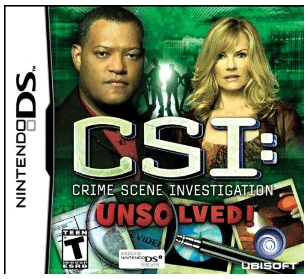 Get CSI: Unsolved for only $9.99 here – deal only last a day!